This phrase is more than just a catchy term we coined. It speaks to our commitment to help each and every one of our customers understand how their home can be more energy efficient. Our trained technicians educate you about the ways you’re wasting energy and how you can save money every month. Our goal isn’t to sell you anything. Instead, we want to help you find creative solutions for sustainable energy usage. Don’t be hesitant to call for an appointment. We’re Wilmington’s top choice for energy solutions. Once completed, you’ll have the understanding and the resources needed to lower your energy bill. On average, our customers see a 10% reduction in their energy expenses. Stop wasting energy and start saving money. 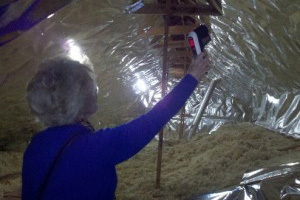 Schedule an in-home 12-point energy audit today.